Chefs use a variety of methods to produce food. 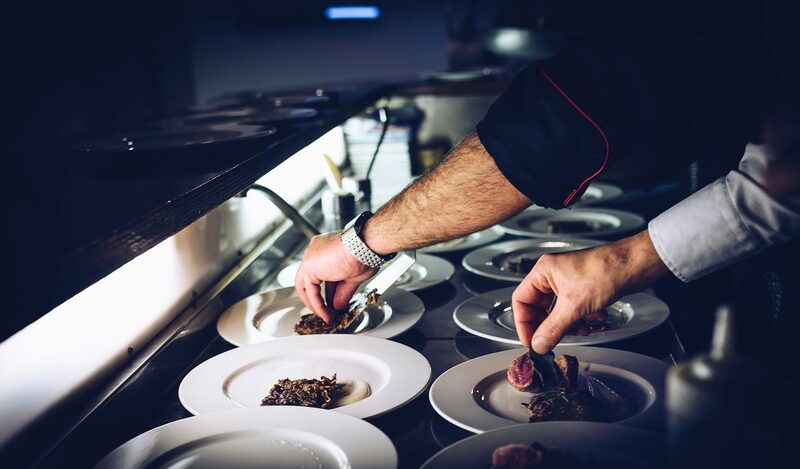 The Head Chef will manage all aspects of the kitchen from the kitchen budget and ordering food to training, recruiting and managing staff, they will set the menus and prices to ensure that they are creative and profitable. There are no set requirements, but GCSEs in English and maths may help. You could do on-the-job training, starting as a kitchen assistant or trainee chef. Another option is to take a full-time college course. The Hospitality Guild has more information about training. With experience, you could progress to section chef (station chef) and look after a particular area like desserts. The next step is sous chef, running an entire kitchen when the head chef is busy. As head chef (also known as chef de cuisine), you'll run a kitchen, create menus and manage the budget. You could move into the business side by taking a foundation degree or degree in hospitality management. Very large establishments have executive chefs, usually in charge of multiple outlets. This is a management role and you would do very little cooking. Another option is to train as a teacher or assessor working for a college or training provider. A passion for food and cooking, good communication, stamina, physical fitness, the ability to work under pressure, high standards of cleanliness and hygiene, able to multi task, creativity and imagination to produce different menus, good organisational skills, the ability to work well as part of a team.